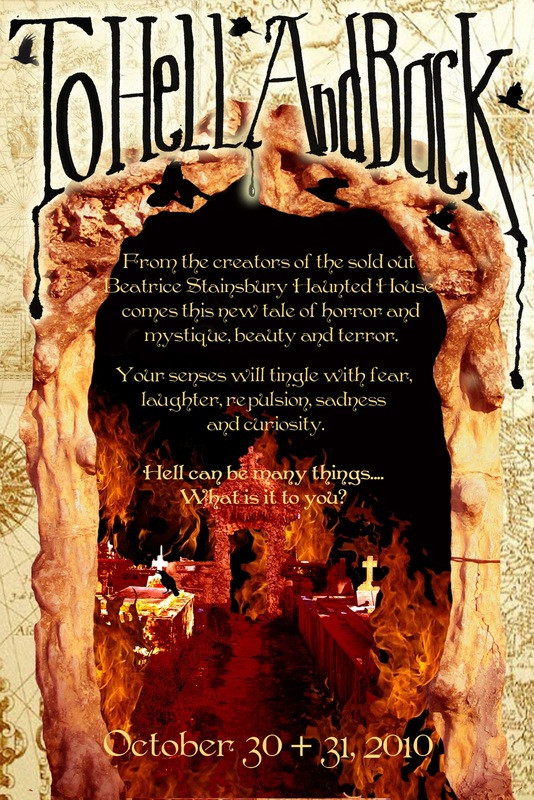 both sides of the coin circus: The haunted house is back! The haunted house is back! On October 30th and 31st, Chris and the In the House Festival bring you our second annual haunted house! This show sold out in one week last year, and we are terribly excited to be bringing it back. Ever wondered what Hell was actually like? Are you prepared to find out? 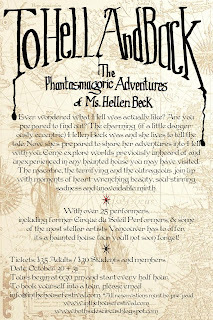 The charming (if a little dangerously eccentric) Hellen Beck was and she lives to tell the tale. Now she’s prepared to share her adventures into Hell with you. Come explore worlds previously unheard of and unexperienced in any haunted house you may have visited. 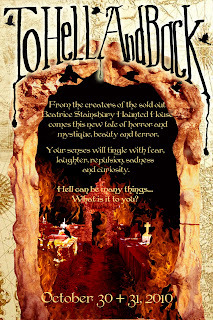 Your senses will tingle with fear, laughter, repulsion, sadness and curiosity, as the macabre, the terrifying and the outrageous join up with moments of heart-wrenching beauty, soul-stirring sadness and unavoidable mirth. Hell can be many things.... What is it to you? **You MUST pre-pay your ticket(s) before choosing your tour time. Once you have paid, you will be sent the link to the schedule and you’ll be able to choose your time. 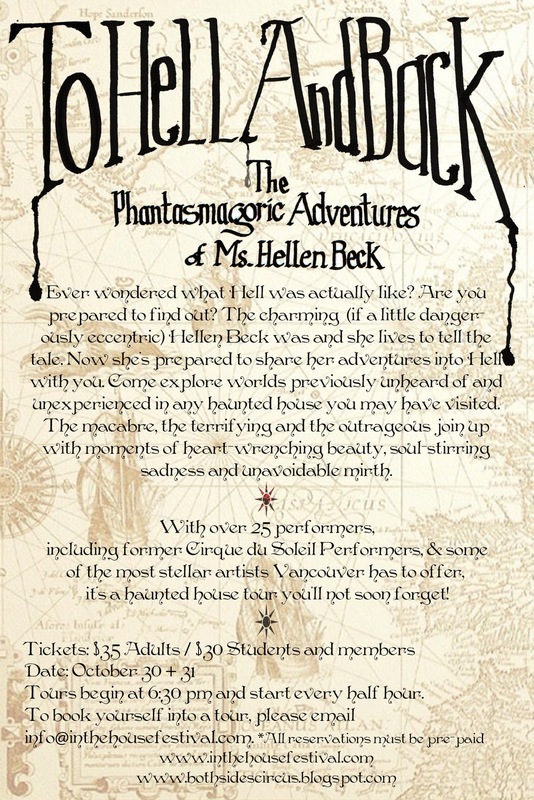 If you don’t like using Paypal, please email info@inthehousefestival.com or call 604-874-9325 to arrange an alternative.